When I’m out and about, I increasingly need to do work-related activities on my phone. Thankfully, there are plenty of apps designed to improve productivity, aid organisation and help you to take notes and produce work on the go. In this solo episode, I discuss the top apps for Android-using freelance writers, and most of them are available on iOS too! Hello and welcome to episode 51 of A Little Bird Told Me, the freelance writing podcast about the highs, the lows and the no-nos of successful self-employment. You can find us on the web at alittlebirdtoldme.podomatic.com. Do make sure you head over there because there are links to all our previous episodes and every link we mention on the podcast. The other thing you can find at alittlebirdtoldme.podomatic.com is the links to subscribe to the podcast. You know you never want to miss another episode, so whether your platform of choice is iTunes, RSS reader or Stitcher Smart Radio, you can find the links on our Podomatic page. I’m Philippa Willitts and I’m doing a solo episode today. Some statistics caught my attention this week: in the States, 56% of adults have a smart phone and 34% have a tablet. A quarter of smart phone users say they can’t remember the last time their phone wasn’t next to them. And 29% of Americans say that their phone is the first and last thing they look at every day. I’m only laughing because I can relate to it so well – I’m one of those people who always has their phone on them, I’m always checking my email if there are 10 seconds to spare. Now, as we use our phones more and more for checking social networks, doing a quick Google to find something out on the go, it gets to the point where you find yourself increasingly working via your smart phone or tablet as well, whether that’s something as simple as checking your email while you’re having a drink in a café or whether you’re doing more complicated work on your tablet or smart phone. The fact is that I think this will continue to increase and that we’ll find it more normal to work in this way. I know I’ve gone from checking my work email when I’m out to doing more and more involved things. 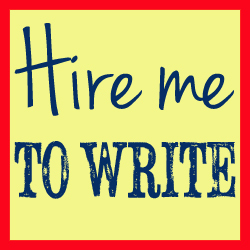 So what I want to look at today is apps that are really handy for freelance writers – apps you can download to your phone. Now, in these recent statistics, in the second quarter of this year, the Android operating system accounted for 75.5% of the smart phone market share. Apple operating system IOS dropped to 13.6%. Windows Phone is increasing but from a very low place to start with, and Blackberry is very low at the moment. So there are three quarters of the world’s smart phone users using the Android operating system, and almost a sixth using Apple. With tablet, so iPads or Android tablets, Android has 53% of the market share, while Apple has 43%. Apple’s number dropped and Android’s grew, so that’s a far more even split. Now, I’m an Android user. I use an HTC Android phone and I have an Android tablet. I like Android – I like how it is to use, I like how it integrates well with everything else, I like that you don’t have to have a particular brand of phone or tablet to use it – I like that kind of open nature of the coding. It’s a lot less control freaky than Apple can appear to be, so I’m a big Android fan. However, some of my best friends are iPhone users – I don’t object to it! But, because I like it and because so many more phones are using Android including my own, the apps I’m talking about today are all Android apps. However, some of them do have IOS, iPhone, iPad versions of the same app. Even in the cases where there aren’t exactly the same apps, there will, I’m sure, be very similar apps. So even if you’re an iPhone user, don’t think this episode won’t be relevant – it’ll give you ideas about the kinds of apps to look for and a good number will have iPhone versions available. So what I’m going to talk about today are the nine top apps that every freelance writer can benefit from. They can have numerous purposes from being handy if you’re out and about to actually serving a better purpose than something on your PC or laptop might. And the first of these apps is called CamScanner, and it’s available for Android and IOS systems. It’s very simple and very effective. It enables you to take a photo of any document or object, say a receipt. It optimises it, makes it very clear and very contrasty, then turns it into a PDF for you. So when you buy something work-related, and especially if you’re worried you might lose the receipt, you just open up CamScanner, start a new document, take a picture of it and it turns into a PDF that you can then email to yourself or share with your Google Drive and you’ve got a record of that receipt that can then be filed. Now, you can use the free version of CamScanner, which I use and is great. You can also upgrade to a paid version which has some benefits and that’s either $4.99 a month or $49.99 a year. If you use the free version, at the bottom of each document it says something like “powered by CamScanner”. Now I don’t mind that, as I just use the documents for my records so it makes no difference. If you get the paid version, there are no ads and no watermarks. You can also password protect your documents, extract text to edit later and you get a higher quality scan although the scans you get with the free version are, for my purposes, absolutely fine. Now with this app, you can actually annotate the PDF documents you scan. You can do this 30 times with the free version; if you need to do this more, you then need to buy the paid version. And whether you get the free or paid version, you can share the PDFs with yourself in whatever way suits you whether that’s via Google Drive, emailing it to yourself, uploading it to Drop Box, whatever. It’s a really handy little app – it was one of the first things I downloaded when I got an Android phone for the first time a few years ago. The next app I’m going to recommend won’t come to a big surprise to regular listeners of this podcast, and that’s the Google Drive app. Again this is available for both Android and IOS devices. It’s incredibly handy if you want to edit a document, create a document, anything like that that you can then get hold of on your computer or on another device. If I have a great idea for a podcast episode while I’m out, for example, I can open a Google Drive app, create a new document, make notes and save it, knowing that when I get back to my computer, it’ll be there waiting for me when I get back. Similarly, if I want to transfer some of the photos from my phone to my computer, I can upload those from my phone to my Google Drive and then access them from my computer. All you need is an internet connection and it’s all there. You can share documents with people you’re in contact with. It doesn’t even have to be a word processing document; you can open a spreadsheet, format the text on it. If you’ve set out for a meeting but you’ve forgotten to bring the agenda – if you know you’ve saved it to Google Drive, you can quickly access that on your iPad. It’s so, so useful – we certainly couldn’t manage the podcast in the way that we do without it – so the fact that I use it so much on the computer makes it really handy to have it available on my phone and Android tablet. The next app I’m going to recommend it another Google one – the Google Calendar app, which is available for Android and iPhone users. And there are also lots of other calendar apps that will synch with your Google Calendar so if you’re not enamoured with the Google Calendar app itself, do have a look at some of the others. Now what this does is synch with your phone, so if there’s something in your Google Calendar that you’ve forgotten, but you’re not at your computer, you’ll still get a notification on your phone. I use a mix of Google Calendar and a paper diary to keep track of what I’m doing. It’s really reassuring to know that, if there’s an event coming up in your Google Calendar, you’ll get a notification on your phone. And the fact that Android is run by Google means that Android and Google apps tend to work really well together. Within the app you can also – as well as seeing the events in there – add events using your phone or tablet. This is invaluable if you’re out with someone and want to arrange your next meeting, you can access your full calendar and then add the meeting using the app, and even invite the person you’re with using your phone. This means that you’re not having to write it down on a piece of paper and remember to add it to your Google Calendar later. And also you can set up within the app itself the kind of reminders you want. The other handy thing with the Google Calendar Android app is that you can set up a widget. So rather than having to go to an app itself, you can choose to have something on display. So it might be that on the homepage of your phone that you have a little Google Calendar widget so you can see at a glance what your next event is and the details about it. I have one of those set up – looking at it now, it tells me that tomorrow is a friend’s birthday, that I have a meeting on Wednesday. I don’t even need to go into the app; it just displays automatically. So yes, give Google Calendar a go. The next app I’m going to recommend is, as far as I can tell, only available on Android. It’s called Eduport, and it’s great for something that Lorrie and I bang on about all the time, and that’s ongoing training, study and learning. And what Eduport does is give you easy and quick access to loads of free lectures and talks. When you enter the app, you can access different channels. So, there is the University College of Berkley, Stanford University, TED talks, and you can quickly and easily find courses and lectures based on subjects you’re looking for. They’re organised as playlists, really, with different playlist for different topics. And while you can find most of the same talks on YouTube, the joy of Eduport is that they’re all in one place. You don’t have to filter out all sorts of irrelevant things if you’re looking for something specific because it’s specialised and only gives you really reputable sources to work with. I use this more on my tablet than on my phone, if only because I prefer to watch videos on a bigger screen. But looking at reviews, people love it on their phone – it depends on your preferences. But with this app you have no excuse to not check out different free university courses and other types of courses so you can carry on learning on an ongoing basis. There isn’t, for instance, necessarily a creative writing course on there – I haven’t found one, but there are so many videos on there that there may be! – but it doesn’t all have to be specifically about writing. You might want to do some business, health or maths courses, depending on what you write about. It doesn’t always have to be work related, either – you might want to know more about, say, physics, just as a hobby, and Eduport is a great way to do that as well. App number 5 is called Voice Recorder. It also appears to only be available for Android – however, there will be very similar apps for IOS. It just does exactly what it says on the tin – there’s a big red record button on it, you press that and speak into it and it records your voice. Now what this is great for is if you have a sudden idea and you’re not near your computer but you really don’t want to forget it. Whether it’s something to add to your to-do list, or a great idea for a story or a good source for an eBook you’re writing. Rather than trying to find a bit of paper to write on, just open the app, hit record and say, “Don’t forget to email Jane about that landing page.” Then stop recording. In a matter of three seconds, you’ve made a record of something that you can easily check when you get home. Another lovely thing about Voice Recorder is that you can send what you record directly through Gmail. So, you might want to email yourself but equally you might record a note for someone else and send it through to them if you use the Gmail app on your phone. There’s also a widget so you can also set it up so that you just hit record on the widget. So it’s a handy app. I will of course be linking to all of these apps in the show notes at alittlebirdtoldme.podomatic.com so don’t worry about trying to remember what they’re all called; just make yourself a Voice Recorder note to go to our site and you’ll find all the direct links there! The next app I’m going to recommend is available for both Android and IOS. It’s called Mindjet Maps. Now this is a brilliant and simple way to create mind maps that you can store on your phone, share with Drop Box, whatever. And if you’re the kind of person who really likes a visual approach to planning and brainstorming, this is a really effective method. You can create a visual planning document or brainstorm with different boxes all linked together. They can contain photos, written notes or anything really that can help you organise your ideas. It can also be handy for taking notes at a meeting if you want to represent your ideas a bit differently – rather than just writing pages and pages of words. It may well make more sense to you afterwards – you can see immediately what you were getting at rather than having to re-read loads of quoted words. Now, mind maps do seem to be the sort of thing you either love or hate, but if you’re the sort of person who finds them useful, then Mindjet Maps is a free app and I’d strongly recommend giving it a go. The eighth app I’m going to recommend for freelance writers is the Feed.ly app. This is available on iTunes as well as the Google Play store. If you were a former user of Google Reader, you, like me, will probably have done a fair bit of research into a good alternative to switch to when Google Reader was closing. You may well have switched to Feed.ly. Now I miss Google Reader still – I always will. However, the benefit of Feed.ly is that they’d anticipated that Google Reader was going to close. Several months in advance, they started preparing for that possibility. So they vastly increased their capacity and they really optimised imports from Google Reader and while I did try a couple of other services around that time, Feed.ly was the only one I found to be consistently good. Lots of people were raving about one called The Old Reader but every time I went on there, it said it was over capacity and I couldn’t be bothered with that, frankly. So, yes, I went with Feed.ly like a lot of people. I access this partly via a Chrome extension but also via my phone and tablet. Now, what Feed.ly does is…if you’re not familiar with how RSS readers work, any blog or website that you want to keep up with, you can subscribe to in Feed.ly. Every time that site is updated, Feed.ly will update and you can scroll through your favourite sites and blogs in this one interface. So you don’t have to keep going and checking to see if your favourite blog has been updated – if it has, it’ll be in Feed.ly. Now within Feed.ly, you categorise each site you want to keep up with. You might have a section for writing blogs, humour blogs, health information – whatever you want. So each website you subscribe to, you then subscribe to one or more categories. Then, when you want to catch up with your favourite sites and blogs, you to go your Feed.ly app on your browser, or phone or tablet, and you can choose to scroll through all the updates in a particular category or just all of the updates together. I’m going to put a screenshot from my phone of a couple of these apps into the show notes, include one from Feed.ly. It’s really useful for keeping on top of the latest news. Looking at my own account, I have a category for writing advice, one about my local area, one about SEO and social media, another about PPC, another of photo blogs, one about people I know, one for marketing, one about environmental stuff, a humour one, a feminist one, Google Analytics, Journalism etc. So if I know I need to find a blog topic for an SEO client, I go straight to my SEO category. If I want to find something to recommend on this podcast, I might go to my writing category and see if anything great has been posted. Or, if I’m on the bus and want some down-time, I’ll open the humour blogs and have a giggle. And it gathers everything you need. You input the RSS feed or URL of a website and it brings everything to you. I do also have some categories for some specific industries I write regular news stories for – they’re not the kinds of stories I’d normally read, but they’re there and waiting when I need them. The app for the phone is nice, it’s intuitive, you can swipe to the left for the next story and quickly scroll past things you’re not interested in. You can also share directly from Feed.ly so you click the share button and share with Twitter or Facebook. So if you’re looking for a good RSS feed reader to manage your subscriptions, Feed.ly is one to look at. The phone and tablet apps really do make it easy to use. So the ninth and final app I’m going to recommend is DropBox. DropBox is a really useful way of backing up and sharing your documents and information. If you’ve got DropBox on your phone and you have some pictures you want to share with your sister, you can create a shared folder for you both, upload the pictures and then, when she turns her phone on, those pictures are there, ready for her to download. If you’ve scanned a business receipt, using my first recommendation – CamScanner – then you can upload the file to a folder called “Receipts” and you know it’ll be there ready to file on your laptop when you get home. Similarly, if you have a file already in your DropBox, you can open and amend it from your phone. It’s one of those services I didn’t realise was so useful until I started using it. At one point, I was working between two faulty machines. So when I was trying to work on a document I’d previously been working on on another computer, DropBox made it so much easier – with DropBox, it was just there. If you don’t have an account already, do check out our show notes and click through from there. It’s so handy and you get a certain amount of storage for free, although you may want to pay for more storage. And it might just make life that bit easier. So those are my nine essential Android apps for freelance writers. They can all really help you with your productivity, organisation, planning and your work itself. They can help you learn, take notes, organise notes and access the information you need when you need it. Mobile technology is coming on so fast that we’re going to be using phones and tablets for more and more of our work over time. There’s no doubt – whereas freelancers might have used smart phones for social media, increasingly we’re using it for work and that’ll grow as the capabilities of the machines grow, and also as companies have bright ideas about how to make it easy to do and create apps that help. So if you do have a smart phone and you’re not already using it for anything work related, then maybe give a few of those apps a go. If you’re already using your phone for some work stuff, then maybe some suggestions here can make things even easier. And if you’re just looking for something to keep your mind occupied, then Eduport or Feed.ly can provide you with endless information at the touch of a button. And so those are my top app recommendations for self-employed writers. And now it’s time for the famous Little Bird Told Me Recommendation of the week – only one this week, of course, as there’s only me. My recommendation this week is something called Worldometers, which is a website of real time world statistics. It’s just quite fascinating if you want instant statistics, it’s the place to go – it has constantly updated stats. So I’m watching at the moment about the world population; the numbers are rising several per second. I can see that there have been 223, 404 births today and 92,187 deaths today. If I go back to the main page, I can see there have been 221, 368,000 computers sold in the world this year. I can see that there have been 3,075,000 cell phones sold today. I can see that there has been $104,618,000 spent on video games today, 2,383,000 blog posts written today, 17,988 people who died of hunger today. How much water is being consumed, how much coal we have left, how many deaths by HIV and AIDs…it’s not just full of this really interesting and potentially very useful information, it’s also accountable because it gives its sources and they tend to be really reputable, like the World Health Organisation. It’s fascinating to watch these numbers but if you’re writing about dieting, you can see that today alone, $110,340,000 has been spent on weight loss programmes in the USA. You can see how many emails have been sent today, how many newspapers have been sent today…so whether it’s something you find useful for work or just something to help you win a pub quiz, then my recommendation today is the Worldometers website, which I’ll link to from our show notes. So that’s the end of episode 51 – thank you so much for listening. Let me know how you get on with your Android apps. All my contact details – and my co-host Lorrie’s – can be found at alittlebirdtoldme.podomatic.com, and there you can subscribe to the podcast and find a link to our Facebook page. Do come and say hi on there or Twitter. Thank you again for listening and I’ll see you next week. Tagged android apps, android phone, android tablet, mobile apps, Podcast. Bookmark the permalink.